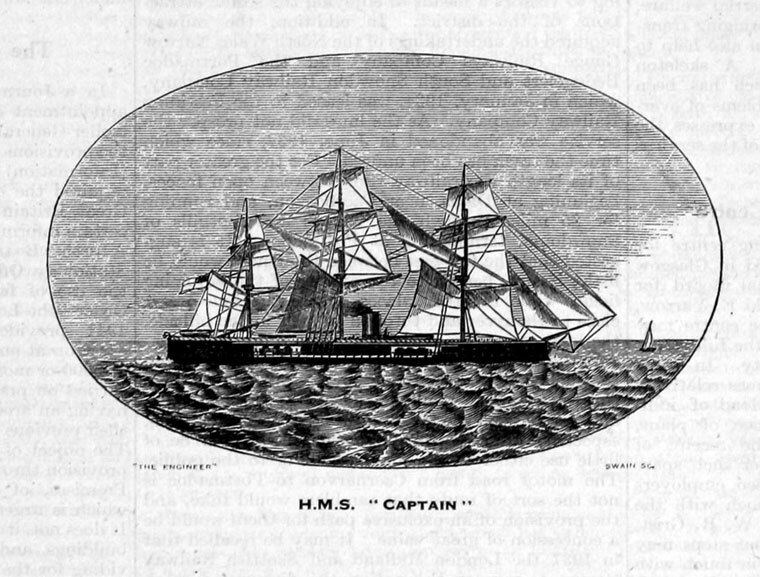 HMS Captain was a fully-rigged turret ship, designed by Captain Cowper Phipps Coles and built by a private firm, Laird Brothers of Birkenhead, who had already built several turret ships for foreign governments. Unfortunately due to the full rig she carried and inadequate assessment of the height of her centre of gravity, she had even lower freeboard than designed. 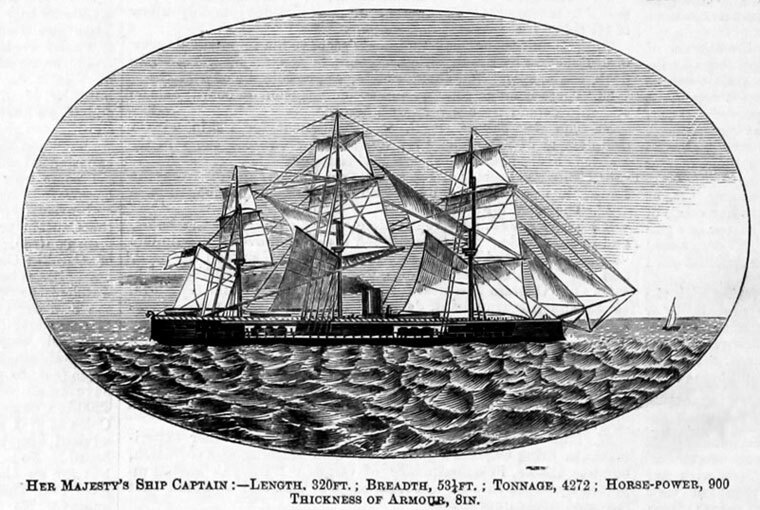 1870 She capsized; most of her crew were drowned including Cowper Coles. The loss of the Captain drew special attention to vessels of low freeboard then under construction. A committee was appointed to report on their safety. William Henry White influenced the adoption of proposals of this committee by the Admiralty. This led to the "all big gun" HMS Inflexible of 1876. This page was last edited on 28 November 2016, at 08:54.